Stick it to ’em, Dawgs! This semester, one of our Capstone teams partnered with UGA Athletics to develop the NMI’s first native iOS app using Swift and UGA’s first sticker pack: UGA Stickers. A team of four incredible capstone students – Emily Greenwood, Reilly Megee, Sam Moran and Ian Webb – hustled to complete the first version of the app in just over a month so that it would be in the App Store on iOS 10 Launch Day. The app takes advantage of new features added to iMessages in iOS10. The app allows users to “peel” stickers of their favorite Georgia sayings, logos, and images and stick them on text and photo messages. For more about the project, visit UGAStickers.com. UGA Stickers has already been downloaded thousands of times, and the team has ambitious plans for enhancements and expansions throughout the rest of the semester. So, if you have an iPhone, show the Dawgs and the NMI some love! 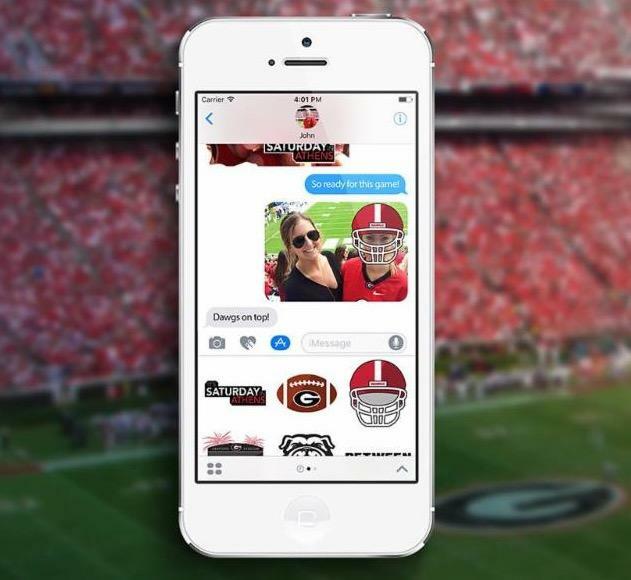 Download the sticker pack in the App Store before the Dawgs defeat the Volunteers this weekend!